The Little Explorers opened its doors in 2007, when 2 passionate Montessorians, Karine McVeigh and Kamilla Kirpalani, dared to dream to create the 1st true accredited Montessori school in West-Africa. What started in the back yard of a house, with only 12 students, soon grew to become one of the best early years schools in Ghana. In 2009, Little Explorers gained its UK Accreditation from the Montessori Evaluation and Accreditation Board, for which it acquired a Grade 1. In May 2017 it renewed its accreditation for the 3rd time. Little Explorers is in the process of application to being accredited by the South African Montessori Association as well. Little Explorers is currently home to 165 pupils from 52 different countries, aging from 14 months to 6 ½ years old! The Little Explorers is a Bilingual (English-French) Educational Facility based on the Montessori Plus system striving to facilitate the physical, intellectual, linguistic, emotional and social development of its pupils to their full potential in the most stimulating and creative way, in an environment that promotes joy, respect and peace. 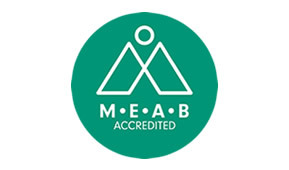 Since 2009 Little Explorers has been accredited by the Montessori Evaluation and Accreditation Board (MEAB) in the UK (Reports can be found on their official website.) We have successfully acquired our 3rd Accreditation renewal in May 2017. We are currently in the process of preparing towards evaluating our school through IQAA -South Africa, IQAA is an Independent Quality Assurance Agency that provides quality assurance through evaluation of schools. Little Explorers would be the first international school to go through this process. At Little Explorers Montessori Plus School, we use the “My Montessori Child” secure system to manage our record keeping and next steps planning. Our Parents enjoy near real time photographs and information about their children’s lives during the scholastic day. This application can be accessed easily from most mobile technology. 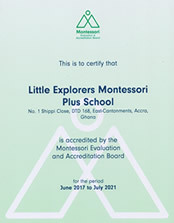 Little Explorers,Ghana is the first school in Africa to use this leading edge communication platform for its parents. 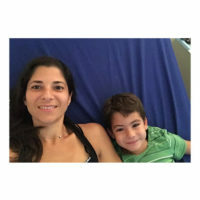 Our teachers use My Montessori Child daily; uploading photographs and written descriptions of your child’s progress at the time it happens to keep you well informed at all times. The system allows staff to record teaching plans, reports and ideas easily and effectively, sharing them with other teachers and parents. My Montessori Child has been written to complement the Montessori system completely, so all activities, plans and observations are relevant to the Montessori method. My Montessori Child allows our teachers to spend their time focused on the needs of the children. It generates statutory reports at the click of a button and replaces the need for paper-based records and reports. The system can be used to both record developments and report back to parents simultaneously. This cuts down on time spent on paper work and ensures reports are given when they are fresh in the teachers mind. The system is completely secure as online banking and has both password and pin access for staff members. Device serial numbers are checked before they are allowed to access the system. Parental access is by way of username and password, and you will only ever see your child’s details. Sensitive information can only be accessed by teachers and administrators. No information is ever shared with other parties and all data is stored on secure servers. 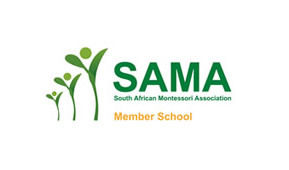 In April 2003 at SAMA’s inaugural AGM, the association was constituted with the mandate to unite Montessori professionals across Africa by encouraging global best practice in Montessori methodology. Montessori schools are individual, unique and separate entities. “MONTESSORI” is not trademarked, therefore the endeavor is to promote and protect the interests of its members, be they institutional or individual. SAMA is the official liaison between its member body and government departments through its membership with NAISA (National Alliance for Independent school of South Africa); including ECD chambers of government as well as the Department Social Development (DSD) and the Department of Basic Education (DBE). This representation is paramount in keeping best practice and integrity in member Montessori schools. 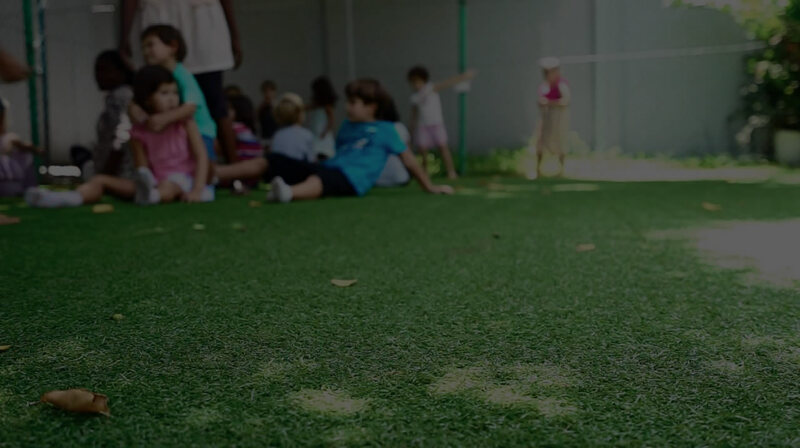 Established in 2005, the Montessori Schools Association (MSA) is an all-encompassing professional association that supports Montessori schools and teachers throughout the UK and abroad. They provide information, advice, training and networking opportunities to their members while also raising the profile of Montessori education within government and with the public. 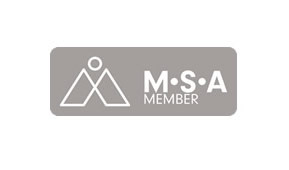 The MSA currently has over 4000 members. The essential purposes of the MSA are to foster communication and unity within the Montessori movement throughout the United Kingdom, and to provide support and guidance to members and their schools, irrespective of size, premises or financial position. The MSA seeks to achieve, through its professional support, higher standards and increased credibility in the Foundation Years and Primary Education and Child-minding community for the benefit of Montessorians and for the families and children in the settings. Montessori Europe’s mission is to create a network of Montessori educators, schools and school leaders across Europe and abroad – which focuses on collaboration, exchange, mutual support, to create synergies and to increase motivation. In the first years of the 21st century various initiatives to find an European Montessori Movement were started. These led to the official foundation of Montessori Europe in 2003. In 2002 the goals and task of Montessori Europe had already been established. 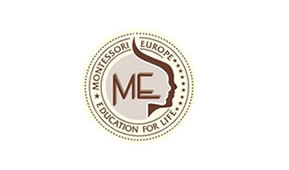 Montessori Europe was set up as an organization ‘to enable and encourage Montessori pedagogy at political, social and educational levels throughout Europe’. As the founder of the school as well as the founder of the West African Montessori Association, it is fair to say Mrs. Kamilla Kirpalani lives and breathes Montessori. It was not always so. Born in Malta in 1971 she came to Ghana in 1994, to join her husband and soon started a family. Having just had her 2nd child and, as most mothers of 2 small children, she felt completely overwhelmed by the task in front of her. 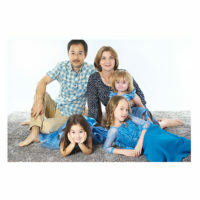 She was then surprised when her husband came home with information about a Montessori Parenting Course. She took the course and as the saying goes, the rest is history. 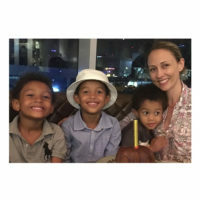 Teacher Kamilla, as known by the pupils, holds a Bachelor Degree in Early Childhood Studies, as well as A Diploma from the Montessori Centre International (UK). Little Explorers takes great pride in the quality, experience and friendliness of our staff. Through our high qualification base, we are able to deliver a professional quality of care. We continuously train the team on the Montessori Pedagogy and school ethos to ensure that all continue to develop in their field of practise. The Board of Directors was assembled in 2013. All members of the board are stake holders and deeply passionate about the progress of the school. Each one has an active role in its management, involved as Financial Director, Human Recourses, Ethics Advisor, Public Relations and Head of Operations. 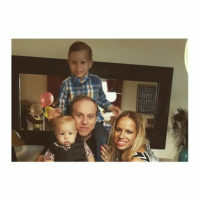 Since Pierre (18 months old) began LEMP 2 months ago, he clears his plate from the table after dinner, says thank you without prompting, and meticulously chooses one activity at a time in his playroom at home while….